Home » GBP » Pound Sterling to Japanese Yen Exchange Rate Forecast: Are GBP/JPY Gains ahead on UK GDP Growth? Pound Sterling to Japanese Yen Exchange Rate Forecast: Are GBP/JPY Gains ahead on UK GDP Growth? The Pound (GBP) has fallen by -0.7% against the Japanese Yen (JPY) today, hitting the lowest exchange rate since September 2017. Pound Sterling’s drop to an exchange rate of 143.2030 might be only temporary, however, if Friday’s UK GDP data ends up supporting the GBP/JPY pairing. Friday will bring initial UK Q2 GDP growth rate stats and current estimates are for an expansion for the quarter-on-quarter and year-on-year readings. A faster pace of economic growth bodes well for future UK stability, so such results could trigger late-week GBP/JPY exchange rate gains. Can GBP/JPY Exchange Rate Rise Further on UK Wage Growth Stats? Looking to next week, the Pound to Yen (GBP/JPY) exchange rate could become turbulent on Tuesday when UK earnings and unemployment rate stats come out. Wage growth during June is expected to accelerate, but the unemployment rate is also forecast to rise from 4.2% to 4.3%. Whether the Pound rises or falls on such news depends on which factor GBP traders consider to be more important. A faster pace of wage growth in the face of rising unemployment could ultimately win out, causing an early GBP/JPY exchange rate rise next week. Japanese Yen to Pound Exchange Rate Outlook: Will JPY/GBP Demand Drop on Falling Machinery Orders? The Japanese Yen (JPY) has risen by 0.7% against Pound Sterling (GBP) today, but is at risk of making losses on Thursday when machinery order data comes out. June’s year-on-year measurement is forecast to show a slowdown in the pace of order growth, with a shift from 16.5% to 9.5%. The monthly reading has a more mixed forecast: expectations are for slight improvement with a move from -3.7% to -1.3%. Previous Japanese machinery order readings have proven distinctly volatile, with a month of contraction often following a period of growth in reported orders. If JPY traders respond negatively to slower orders and a still-negative monthly reading then the JPY/GBP exchange rate could decline on Thursday. 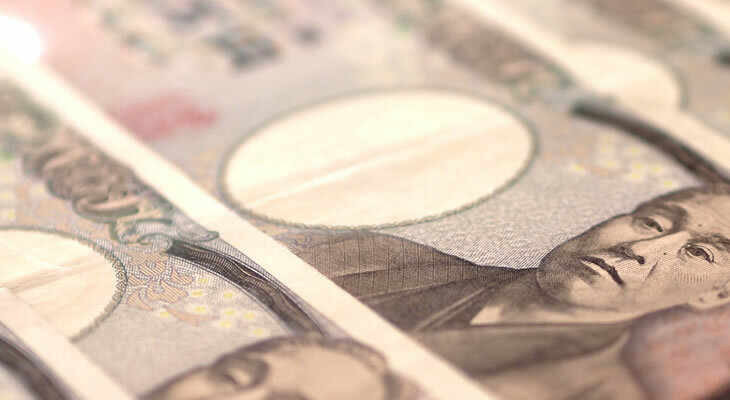 Thursday’s Japanese data might worsen the JPY/GBP exchange rate, but beyond this the Yen (JPY) could regain lost ground against Pound Sterling (GBP) on Friday. The week’s last major Japanese data will be a measure of GDP growth in Q2 2018; both the quarterly and annual preliminary readings are tipped to show growth. Japanese GDP growth notably slowed in Q1 2018, dropping by -0.2% on the quarter and -0.6% annually; these were the first contractions in 9 quarters. If both readings rebound and print at 0.3% and 1.4% respectively then the Yen to Pound exchange rate could rise sharply before the weekend. Previous ArticlePound Sterling to Euro Exchange Rate Forecast: More Losses Ahead for GBP/EUR After 9-Month-Low?